How to promote your company/brand through Papmu? Papmu is the first person to person property ads platform in Mauritius. Choosing to promote your company or brand on Papmu is to communicate your message to the heart of Mauritian families and businesses. 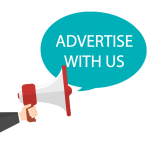 We help you build your visibility by offering strategic advertising spaces on our site, showing your ads through our newsletters, as well as many other tailor-made packages. Use the contact details or fill in the form to get in touch with us for more information on the various advertisement options we offer.